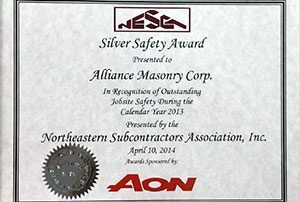 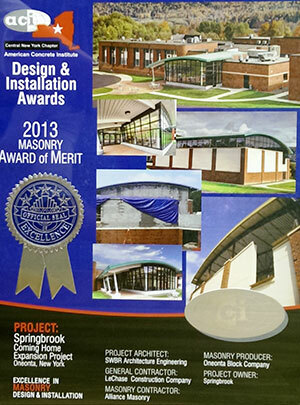 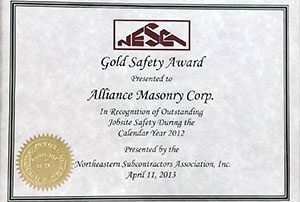 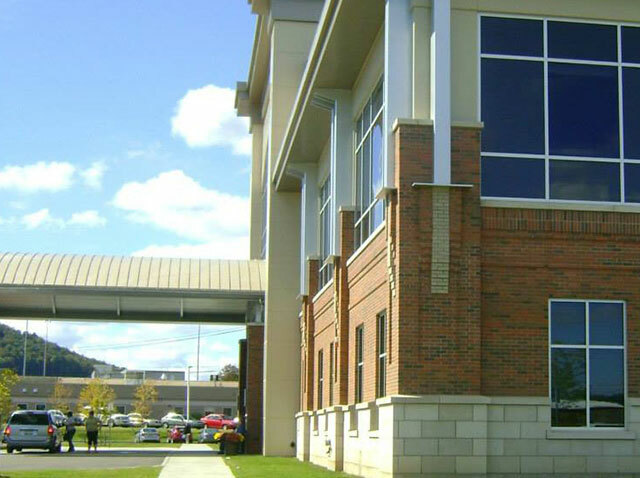 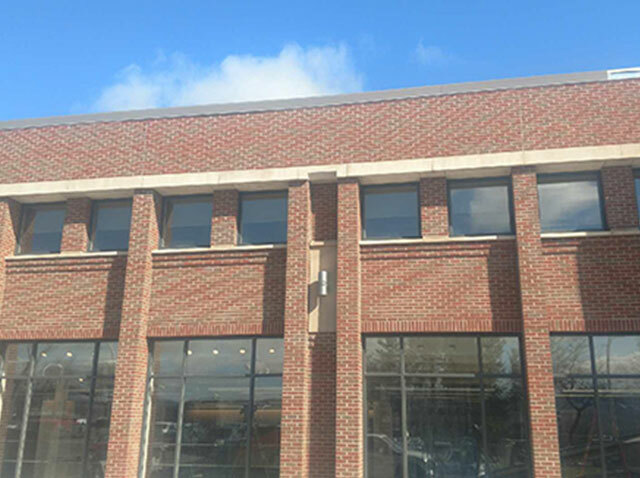 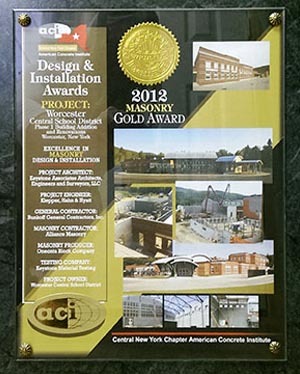 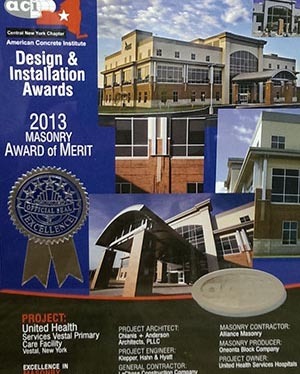 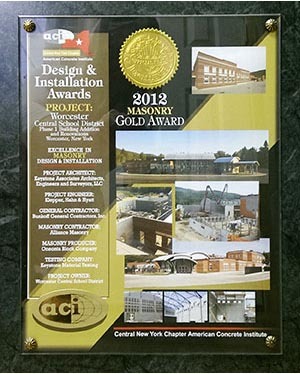 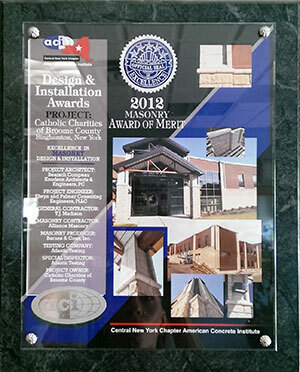 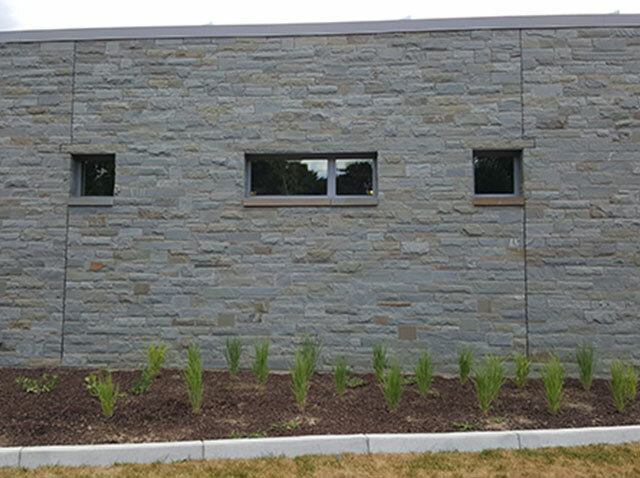 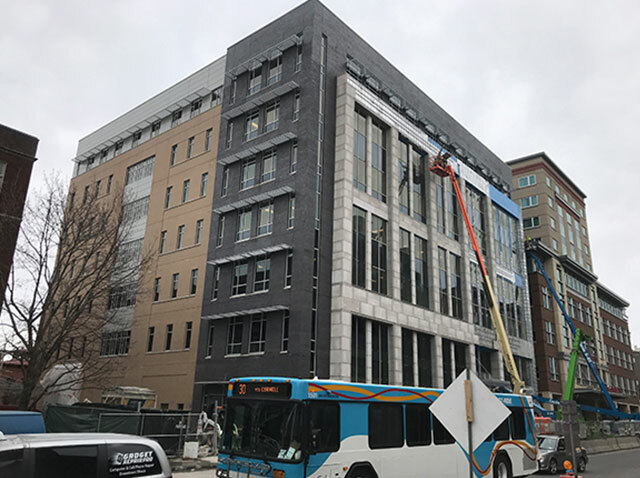 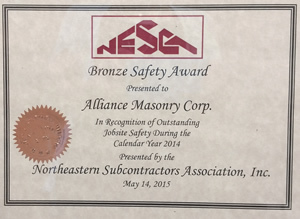 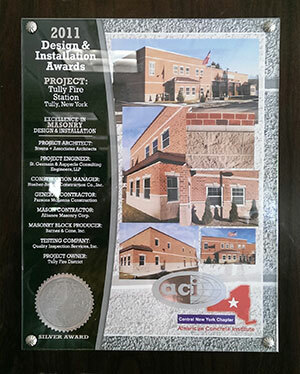 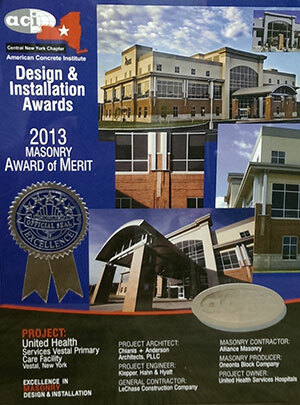 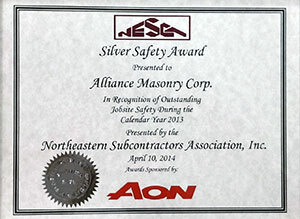 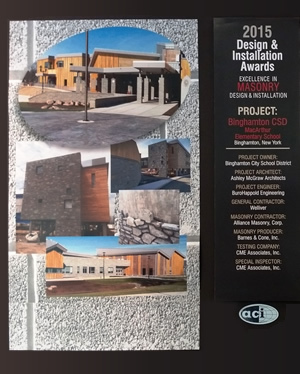 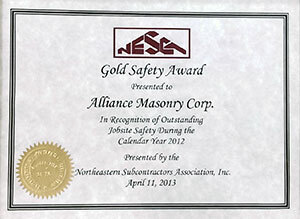 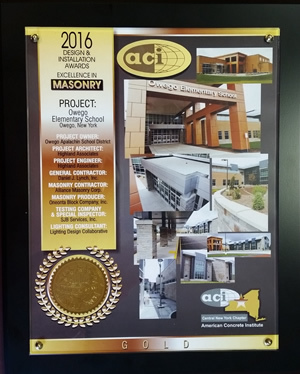 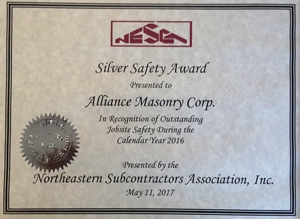 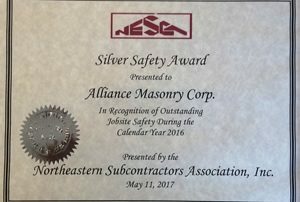 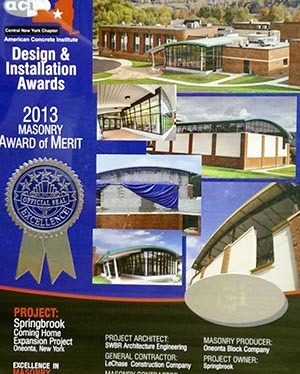 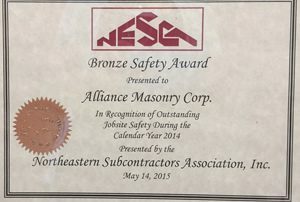 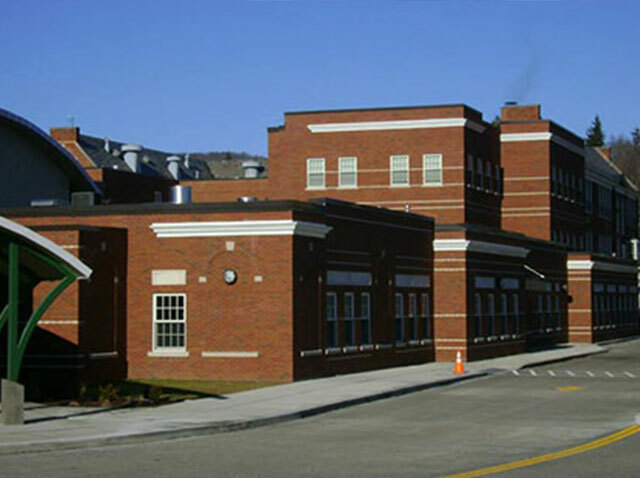 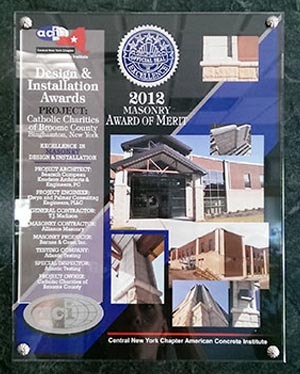 Awards - Alliance Masonry Corp.
Alliance Masonry Corp. is continuously focused on improving our quality of work, commitment to safety and overall customer experience. 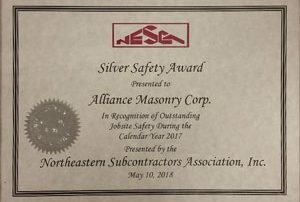 We have received some highly accredited awards for the industry and are extremely proud of the hard work and dedication of each of our employees. 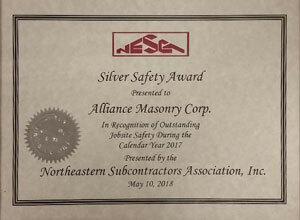 We’re proud to have been awarded NESCA Safety Awards for the following years: 2018 (Silver), 2017 (Silver), 2016 (Silver), 2018 (Silver), 2015 (Bronze), 2014 (Bronze), 2013 (Silver), and 2012 (Gold). 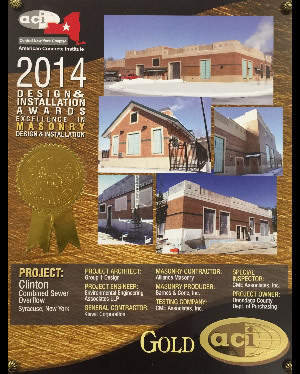 Contact us for all of your concrete or masonry project needs.